Recently a couple of our friends were married. The wife collects maps and has a lovely wall filled with them. Her husband is an avid fan of Wheel of Time. To celebrate their marriage I decided to make them a vector based map of the Westerlands. Full disclaimer: I have never read Wheel of Time (or hadn’t when I started, I am currently in the middle of book two). 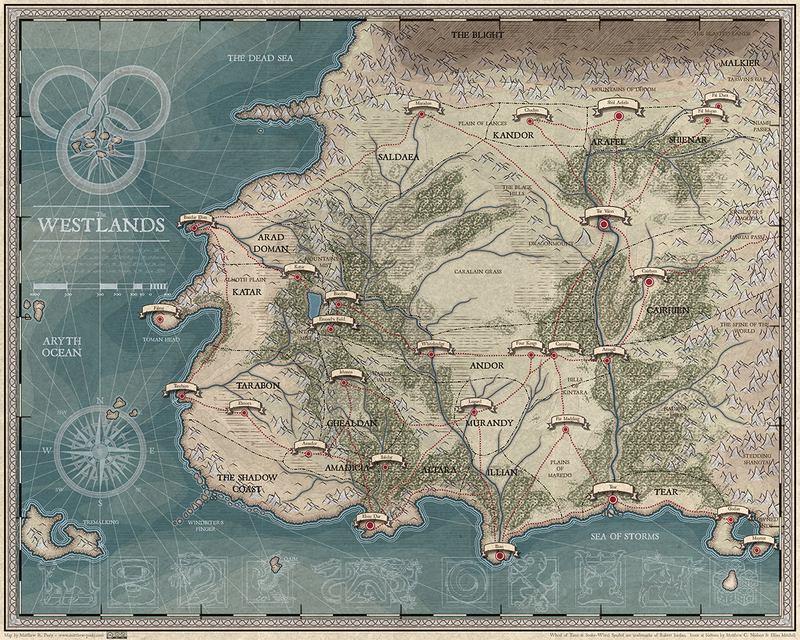 With some help from the Cartographer’s Guild I was able to refine the design, and correct spelling errors. I used the parametric capabilities of illustrator by using brushes, symbols, swatches, and character styles. It turned out great, plus, because it is vector, I can technically print it the size of a building without any pixels! Now my friends have it proudly hanging on their map wall.